Visit the shop at Kunsthall Stavanger! Come by the Kunsthall Stavanger shop to view a curated selection of art and design, which is continuously added to as we discover new items, artists, publications, and designers. We currently have blankets from Røros Tweed by Bjarne Melgaard, toys from Vilac by Yoshitomo Nara and Keith Haring, and several design objects from Discipline in Italy. 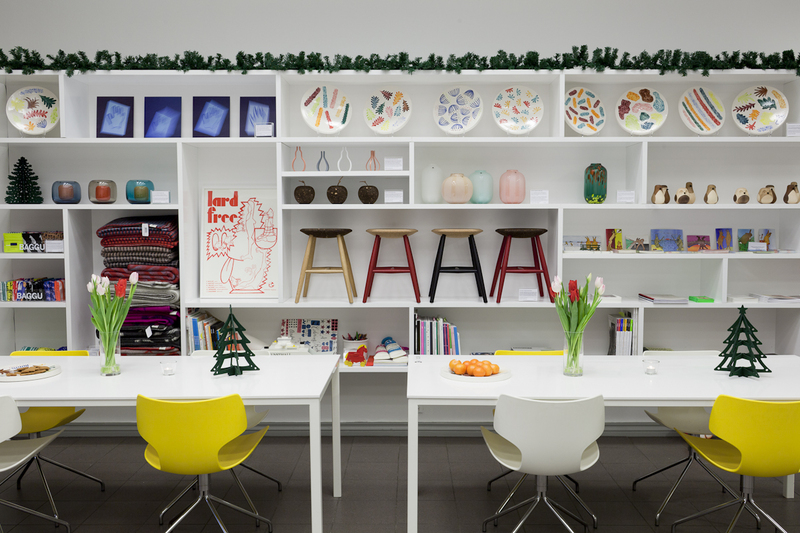 Stop by to buy in person to browse artworks and gifts – and support Kunsthall Stavanger! Kunsthall Stavanger is excited to offer exclusive, limited-edition prints from a selection of our exhibiting artists. Current editions include prints by Judith Bernstein, Lina Viste Grønli, Frode Felipe Schjelderup, and Margrethe Aanestad. All prints 2000NOK each plus shipping. Schlongface, 2016. Three-layer screenprint, 38x52cm, edition of 50. Cuntface, 2016. Two-layer screenprint, 38x52cm, edition of 50. Judith Bernstein (born 1942, Newark, NJ) has lived and worked in New York City since 1967. She received an MFA from Yale University School of Art and was a founding member of A.I.R. Gallery as well as an early member of the Guerrilla Girls, Art Workers’ Coalition, and Fight Censorship. Solo exhibitions include the New Museum, New York; Mitchell Algus Gallery, New York; The Box, Los Angeles; and Mary Boone Gallery, New York. Her work has been included in group exhibitions such as The Comfort of Strangers at MoMA PS1, New York; The Last Newspaper at the New Museum, New York; and The Historical Box, at Hauser & Wirth, Zurich and London. Her works are in the collections of the Museum of Modern Art, the Whitney Museum of American Art, the Brooklyn Museum, the Jewish Museum, and Yale University Art Gallery. Kunsthall Stavanger curated the first institutional retrospective of Bernstein's work in 2016. 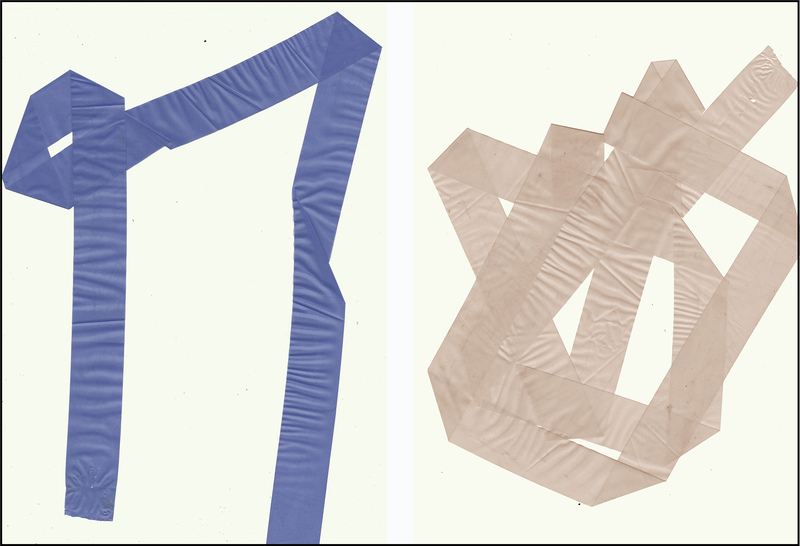 Ribbon I, 2015. Three-layer screenprint, 35x50 cm, edition of 50. Ribbon II, 2015. Two-layer screenprint, 35x50 cm, edition of 50. Margrethe Aanestad (b. Stavanger, Norway 1974) is based in Stavanger, Norway and Brooklyn, NY. Recent solo exhibitions include Locus Mien at Torrance Shipman Gallery, New York; Hither/Thereat, Dimensions Variable, Miami; and Herein, Open Source Gallery, New York. Selected group exhibitions include The Meeting at ISCP, New York; and The 124, Annual National Art Exhibition in Norway, Kunstnernes Hus, Oslo. Aanestad is co-founder and co-curator of the artist-run space Prosjektrom Normanns and co-founder of the co-working space Erfjorgata 8, both in Stavanger. She also currently serves on the the Advisory Board of Kunsthall Stavanger. 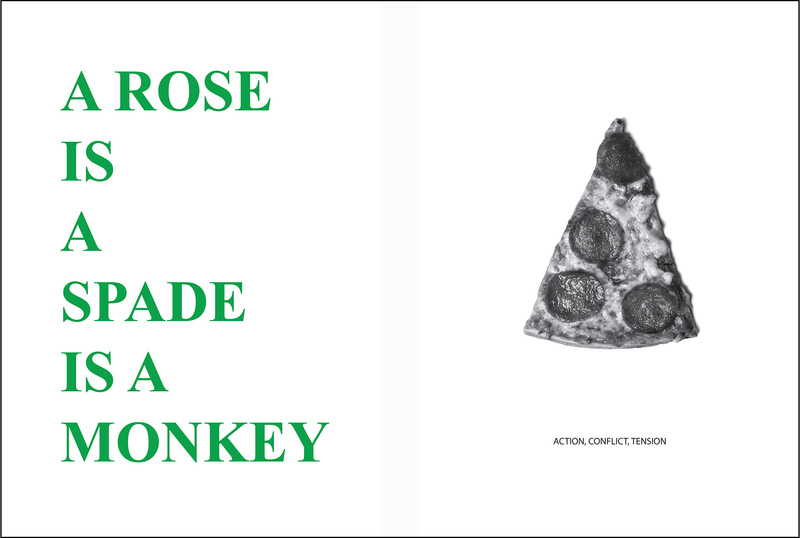 A rose is a spade is a monkey, 2015.One-layer screenprint, 35x50 cm, edition of 100. Action, Conflict, Tension, 2015. Giclée print, 35x50 cm, edition of 100. 2000 NOK each plus shipping. Lina Viste Grønli lives and works in Boston, USA. She has exhibited at MAK – Museum for Applied Art, Wien; Marres Centre for Contemporary Culture, Maastricht; Wiels Contemporary Art Centre, Brussel; Performa 09, New York; Sunday Art Fair, London; Henie Onstad Kunstsenter, Bærum; and Gaudel de Stampa, Paris. Grønli's exhibition Tinging opened at Kunsthall Stavanger in 2013. 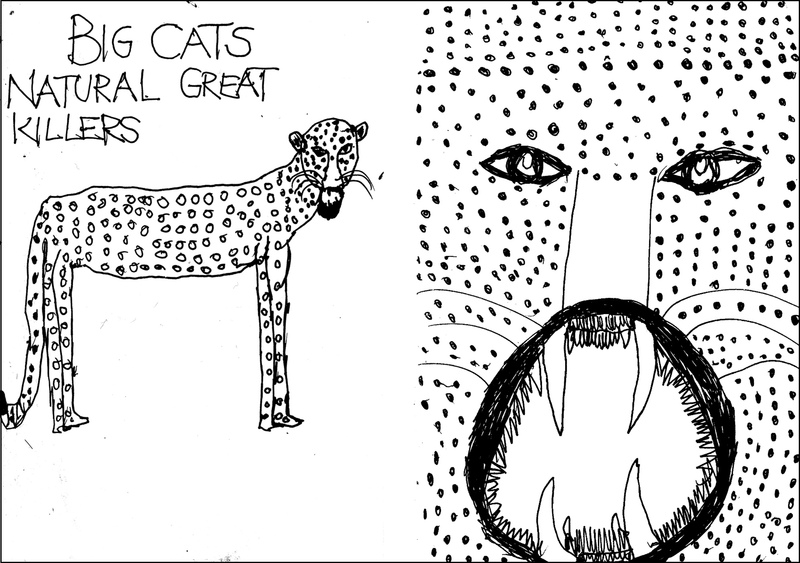 Big Cats Natural Great Killers 1, 2016. One-layer screenprint, 35x50 cm, edition of 25. Big Cats Natural Great Killers 2, 2016. One-layer screenprint, 35x50 cm, edition of 25. Frode Felipe Schjelderup (b. 1982, Colombia) is an artist living and working in Stavanger, Norway. Previous solo and group exhibitions include Metallium Fleshammer, Gallery New Jerseyy, Basel; Summer Exhibition, Gallery Sting, Stavanger; The Line is a Lonely Hunter, Gallery New Jerseyy, Basel; and Raw Art / Outsider Art, Gallery North, Harstad, Norway. Published graphic novels and comics include Metallium Fleshammer in collaboration with Kjetil Brandsdal; Bare Snabel, various booklets; and A New Time: reprints of "Clock Book". Schjelderup's exhibition The Outinside Art opened at Kunsthall Stavanger in 2016. In conjunction with the extensive exhibition of the work of Austrian artist Kiki Kogelnik, Kunsthall Stavanger, Hatje Cantz, and the Kiki Kogelnik Foundation have released a catalogue highlighting artworks from the 1960’s and 70’s, a particularly prolific period of the artist’s life. Titled Inner Life, the publication sets Kogelnik’s work apart from her Pop-artist colleagues and explores her distinctive aesthetic, close relationship to second-wave feminism, and commentary on politics, social critique, the space age, and the human body. The catalogue presents installation images from the exhibition at Kunsthall Stavanger, a selection of archival images, and commissioned texts from art historian Jenni Sorkin and writer and curator Wendy Vogel, with an introduction by Kunsthall Stavanger Director Hanne Mugaas and design by Alexander Nussbaumer. This publication is the first major catalogue of the work of feminist artist Judith Bernstein, and was created in conjunction with the artist’s retrospective at Kunsthall Stavanger, Norway in 2016. 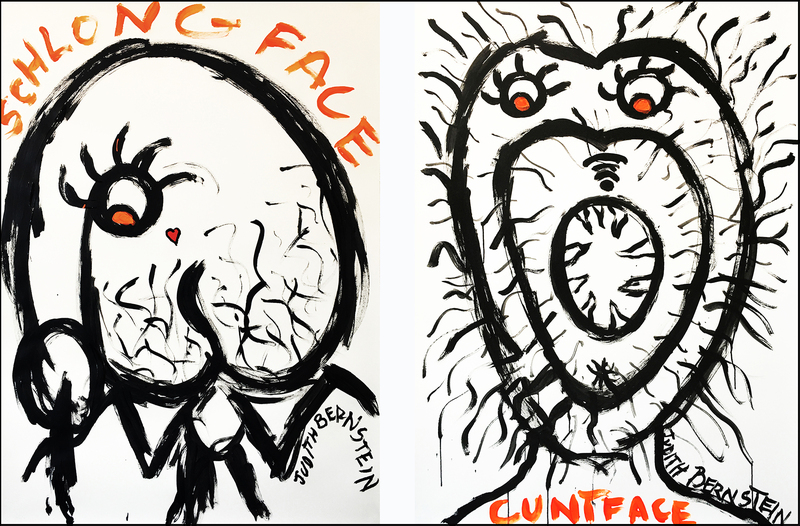 A former Guerilla Girl and founding member of A.I.R Gallery, New York, Bernstein has worked consistently for over five decades despite censorship and periods of art world neglect. Titled Judith Bernstein RISING, the catalogue serves as the first publication to contextualize Bernstein’s vast oeuvre within the history of art, feminism, and the American socio-political climate of the late-20th century. The catalogue presents a variety of archival images tracing the artist’s fifty-year career from the 1960s through the present day, as well as installation images from the exhibition at Kunsthall Stavanger, and commissioned texts from artist and writer Thomas Micchelli, and Le Tigre band member and writer Johanna Fateman, as well as an interview by artist Maurizio Cattelan. Kunsthall Stavanger curated the first institutional retrospective of Bernstein's work in 2016. The publication is designed by the cutting-edge design team Alexandra Falagara & Brita Lindvall at Bastion Agency Studio Lab, Stockholm. Takeshi Murata (born 1975) first became known as an early innovator of "datamoshing," a form of "glitch art" that requires compressing two videos together until their respective pixels merge into one mashed-up picture. Since then, inspired by Giorgio de Chirico and traditional 17th-century Dutch and Flemish painting, Murata's work has ventured into the realm of hyper-realism in a series of uncanny prints and videos that explore our inner and exterior lives via everything from B-grade horror film imagery to relics of a 1980s childhood. Part monograph and part artist's book, Takeshi Murata includes an essay by New Museum curator Lauren Cornell, an interview with the artist conducted by Alex Gartenfeld, Curator at the Institute of Contemporary Art, Miami, and an essay by Dan Nadel. Kunsthall Stavanger organized Murata's first institutional survey show in 2015.